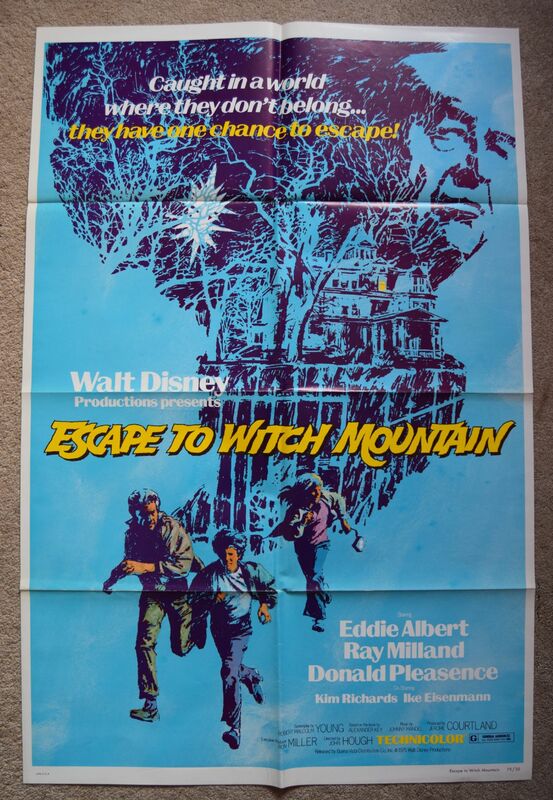 Escape to Witch Mountain (Walt Disney Productions, 1975) US One Sheet 27"x41"
Family adventure featuring Eddie Albert, Ray Milland & Donald Pleasance. 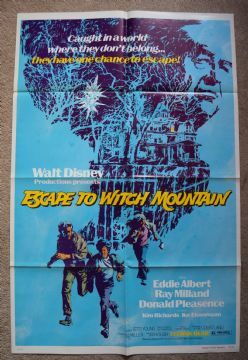 The poster has the tiniest fold separation. Displays very well.